The St Kitts-Nevis Labour Party is ready, willing and able to go the distance for the opportunity to once again represent the people in the government of St Kitts-Nevis. This was the bold statement coming from the leader of the SKNLP and leader of Her Majesty’s Loyal Opposition, Rt. Hon. Dr Denzil Douglas at the Party’s monthly press conference held today, July 25th 2018. While responding to a question from the press concerning the coalition government’s proposed amendments to the National Assembly Elections Act, Dr Douglas stated unequivocally that the Labour Party has absolutely no intention of sitting idly by while its supporters were disenfranchised by the multitude of shenanigans being utilised by the Dr Timothy Harris-led coalition administration. Regarding the proposed six-month residency requirement stipulated in the amendment, Dr Douglas pointed out that while in opposition, Prime Minister Dr Timothy Harris made full use of overseas voters. He inquired as to why Dr Harris was now suddenly of a totally opposite view on the subject, knowing that these Kittitians and Nevisians aided him during the last election. Dr Douglas made it clear that the Labour Party is prepared to challenge every single trick the coalition government will try in an attempt to win the upcoming elections. 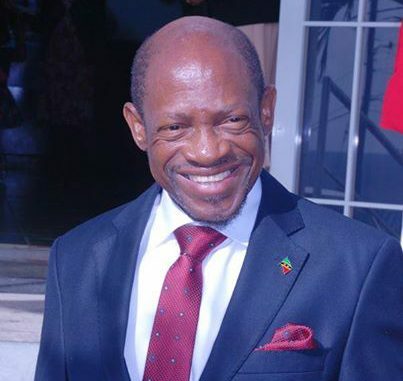 IS PLP SUPPORTER THREATENING THE LIFE OF ST. KITTS AND NEVIS OPPOSITION LEADER DENZIL DOUGLAS?